It's been 6 months! Boy or girl? Check out Sas' pregnancy blog. It’s me again – welcome back to Sas’ baby blog! 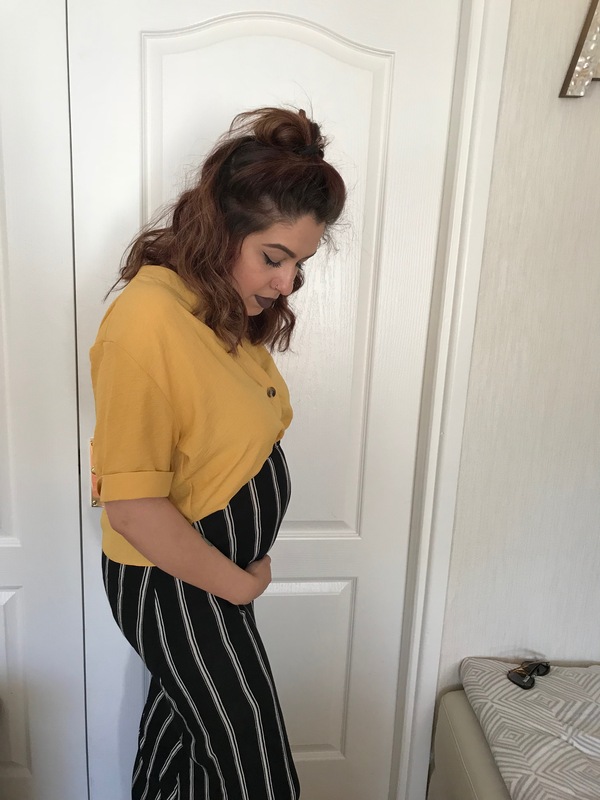 I have just got back from my 24 week midwife appointment, yes you that read right, I am now 6 months pregnant and FEELING IT, as well as baby – our little one is super active already! 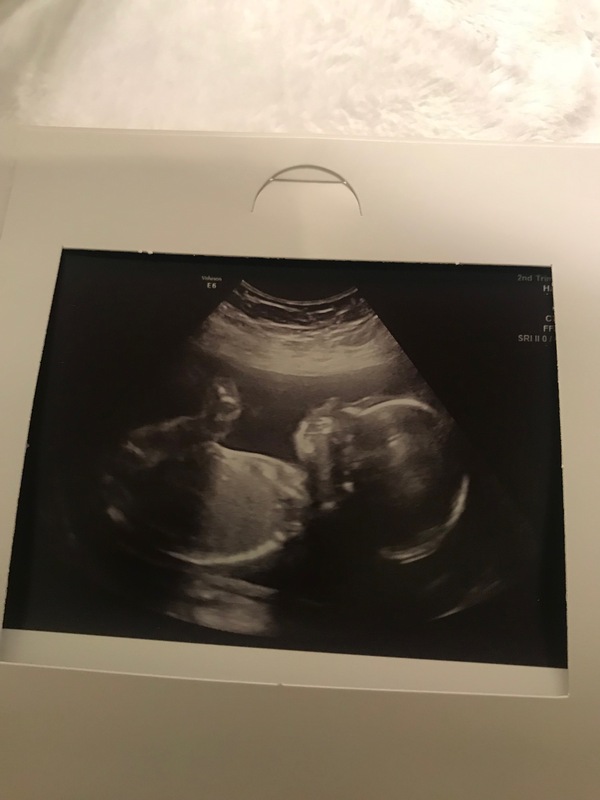 As you all may already know, you only have two scans at the hospital during your journey – unless there are any complications – and we could not wait until that 20 week scan! When we arrived, we were greeted by a lovely receptionist who talked me through the process ahead and handed over the forms for me to sign. I bought along my mum and Ollie’s mum, as it was a special moment I wanted to share with them both. Ollie’s step dad came too as he was Ollie’s mum’s ‘chauffeur’ for the day. We all sat there anxiously waiting to be called in. To say I was agitated was an understatement. Not because I was nervous (which I was), but because I was ready to wee myself – my bladder was FULL ready for the scan. You can imagine the relief I felt when we were called into the room, but on the other hand all I was thinking was “they’re going to press down on my belly and I’m going to explode”, needless to say the sensation almost gets forgotten when you’re in the room. Ollie’s step dad stayed outside and the rest of us scattered nervously into the room. I lay on the bed and was greeted by the friendly male sonographer and his assistant. 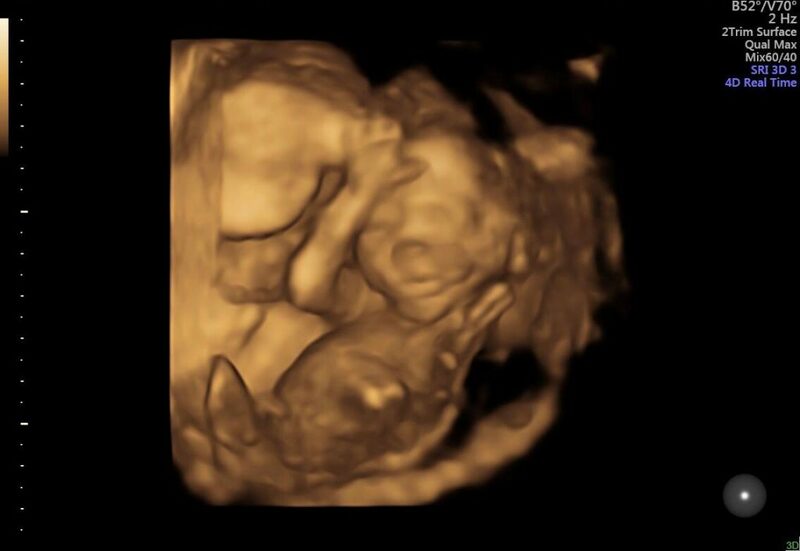 The sonographer took a photo and left in on the screen, we were all sat there trying to figure out what was what. 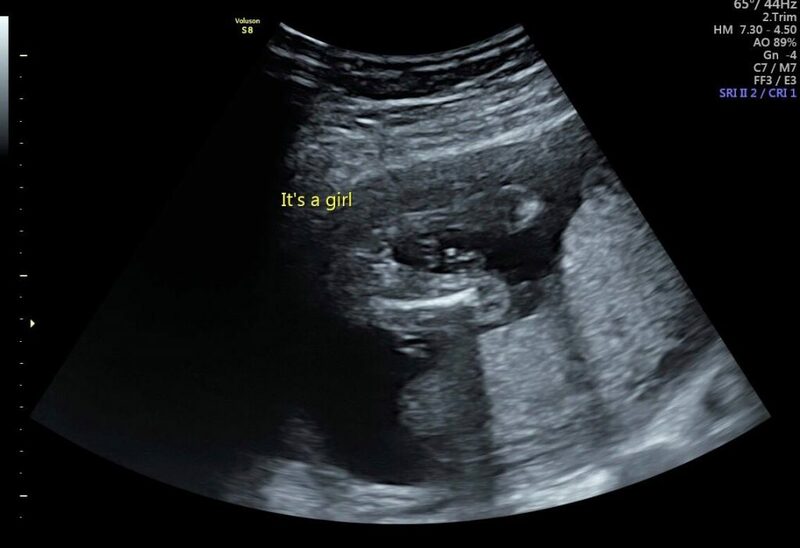 My mum and Ollie’s mum were discussing between themselves when the sonographer looked at me and smiled as he typed the words ‘IT’S A GIRL! ’ on the screen. Everyone screamed – I’m sure the whole of Willenhall heard the shriek of excitement! We KNEW we had to get Ollie’s step dad in the room to share the amazing news. We called him in and promised each other we wouldn’t say anything, to allow him to try and work it out for himself from that first mysterious image! He straight away blurted “GIRL” and we confirmed this. I can only describe the atmosphere as beautiful. Emotions flying high – the excitement, happiness, and tears of joy. Let’s come back to the present. I am now 24 weeks pregnant and have struggled MAJORLY with this ridiculous heatwave and tiredness. If only we were in Spain, so I could have that well needed afternoon nap on a daily basis, especially during work! Any other time I would be soaking in the sun, but I’ve become a hermit. Staying in the shade with the comfort of my tower fan – which has been my life saver! We move into our new house soon, so I have that on my mind at the moment, but I know we have the support of our amazing families. I can’t wait to ‘nest’ and finally be able to relax throughout the rest of my pregnancy. I may or may not be here at Yogurt Top when the time comes round for my next blog, so if not, wish me luck! I will be sure to update you all one way or another!